The VSR-6 is an extremely affordable thermal imager. It provides crisp, clear thermal imagery in total darkness, light fog or smoke. It features the same thermal imaging technology found in many of FLIR’s most sophisticated security and surveillance systems, but is packaged for users who have short-range security and surveillance as their primary application. It includes FLIR’s advanced image processing techniques which deliver excellent contrast regardless of scene dynamics. 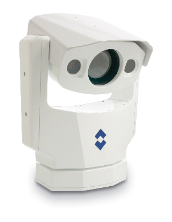 Unlike other night vision systems that require low amounts of light to generate an image, the VSR-6 needs no light at all.